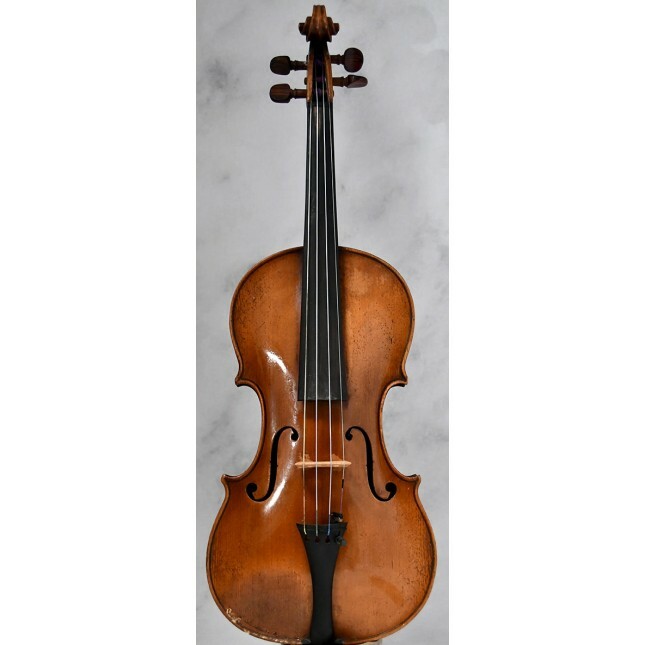 A beautifull old 4/4 French certified violin made by the famous Laberte-Humbert, made after the famous Stainer model, ca. 1920. 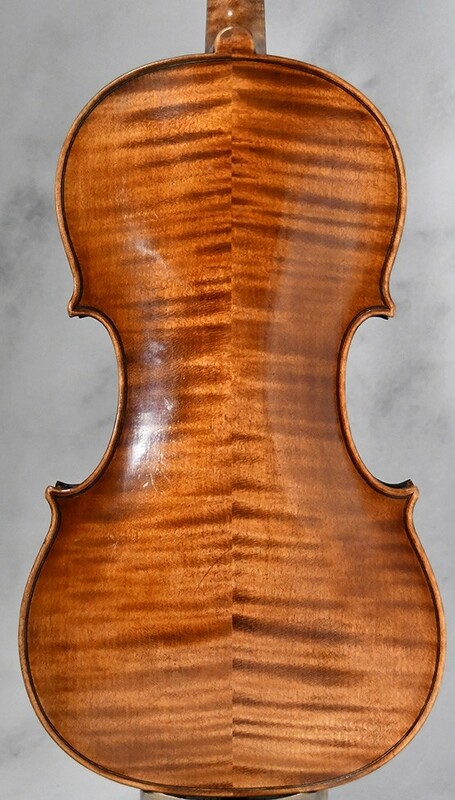 A very nice violin, made from beautiful wood : a stunning flamed back, ribs, neck, and a very good scroll. A violin with a strong sound and projection, open but warm timbre. Size back: ca. 359 mm (4/4). 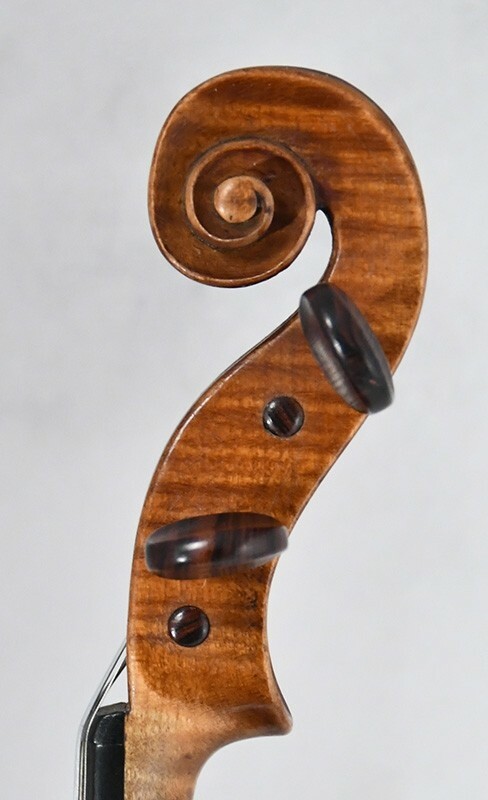 Marc Laberte was born into a family of violin makers. 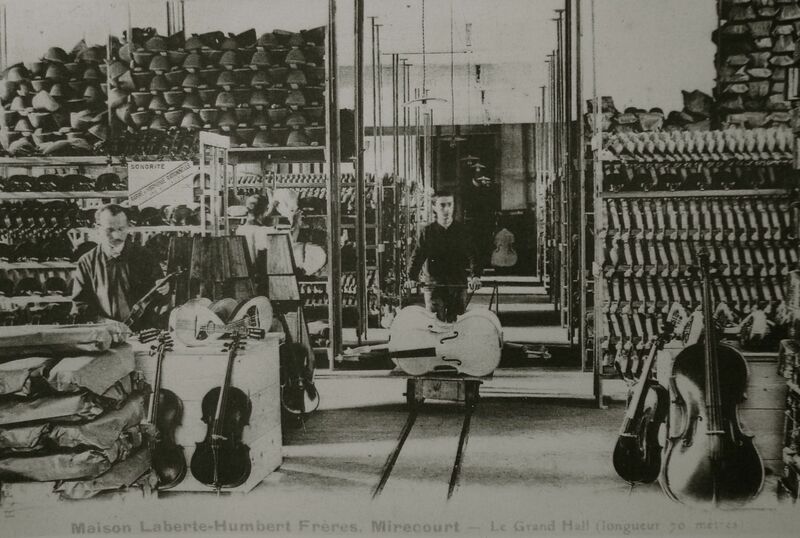 His great grandfather set up a workshop in Mirecourt around 1780. On 21 May 1904, he married Marie Adeline Josephine Thérèse Drouin but she died on 15 December 1909. 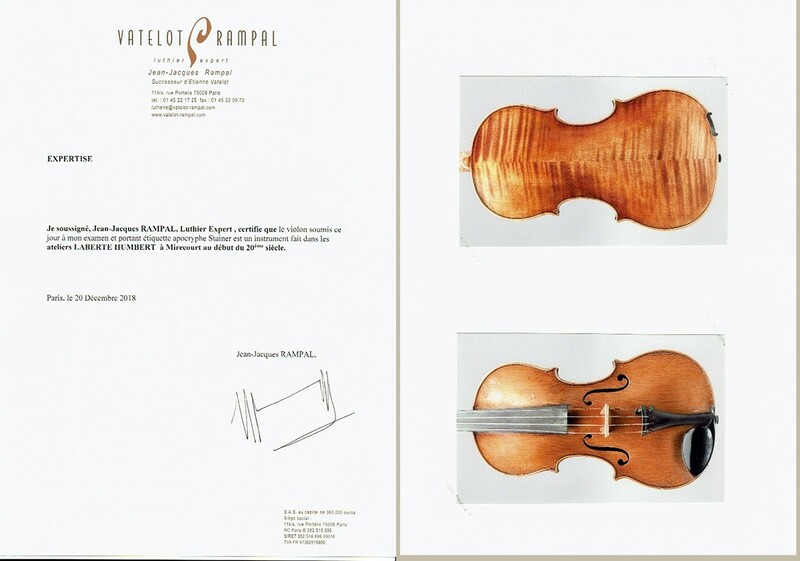 Before her death, she gave birth to André Emile Philippe Laberte; Philippe, as he was known, would become a violin maker like his father. After the death of his first wife, he married again, this time to Geneviève Josephine Paule Francine Thouvenin on 15 April 1912 in Besançon. They had a daughter on 6 June 1916 named Claude. In 1915 Marc Laberte joined Fourier Magnié (1868-1946) and established the new firm under the name "Laberte-Humbert Frères, Fourier Magnié Réunis". 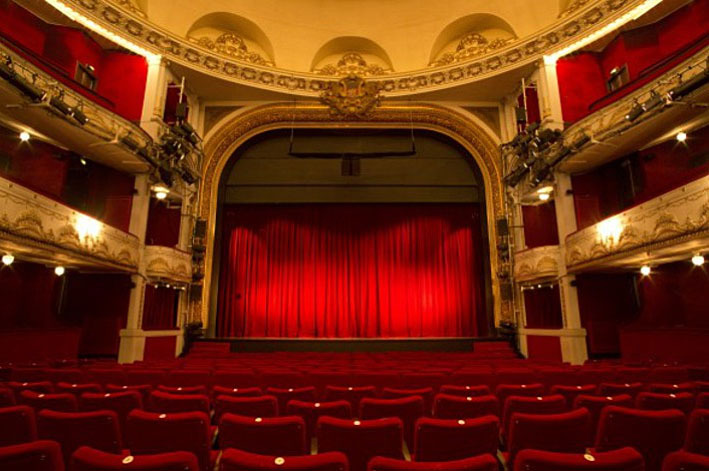 Included in the deal was the use of names such as Honoré Derazey, Just Derazey, Paul Mangenot, and Didier Nicolas aîné, the last of whom was first to have used this trademark. World War II brought despair on Mirecourt as well as the rest of Europe. Marc Laberte’s son, joined the firm during this period and tried to maintain a production catered toward the high end of the market. Marc Laberte died in 1963. Just played it i am an amateur player i can play not so well, but already had couple violins. 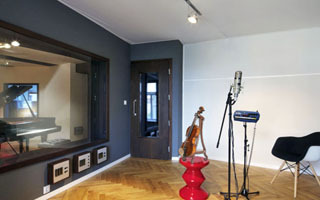 The violins sounds well and looks good ! 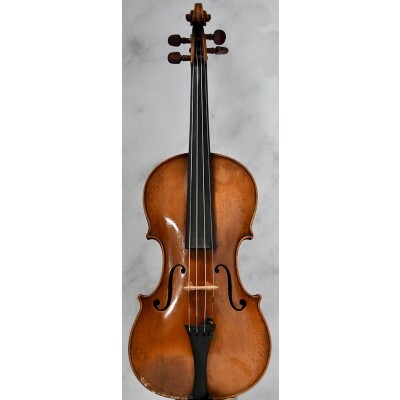 A fine antique violin, it looks great (superbe back).